Gently refresh the hair and scalp with Giovanni's Tea Tree Triple Treat™ Shampoo; a revitalising formula that works to cleanse and hydrate all hair types. Powered by unique Eco Chic Technology™ (based on a combination of beauty, fashion, science and nature), the lightweight shampoo effortlessly eliminates impurities, whilst a blend of Peppermint, Rosemary and Eucalyptus Oils strengthen and stimulate from root to tip. 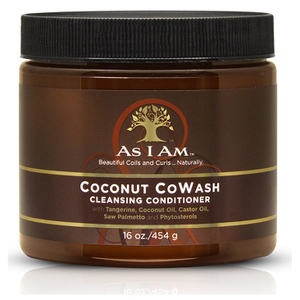 Helps to relieve dry, flay scalps for long-lasting comfort. Aqua (Purified Water), Sodium Cocoamphoacetate, Lauryl Glucoside, Sodium Cocoyl Glutamate, Sodium Lauryl Glucose Carboxylate, Decyl Glucoside, Cocamidopropyl Betaine, Panthenol, Potassium Sorbate, Citric Acid, Polysorbate 20, Phenoxyethanol, Menthol, Peppermint (Mentha Piperita) Oil, Aloe Barbadensis (Aloe Vera) Leaf Juice*, Carthamus Tinctorius (Safflower) Oil*, Achillea Millefolium Extract*, Chamomilla Recutita (Matricaria) Flower Extract*, Equisetum Arvense Extract*, Eucalyptus Globulus (Eucalyptus) Oil*, Lavender (Lavandula Angustifolia) Leaf Extract*, Melaleuca Alternifolia (Tea Tree) Leaf Oil*, Rosemary (Rosmarinus Officinalis) Leaf Extract*, Salvia Officinalis (Sage) Leaf Extract*, Thymus Vulgaris (Thyme) Extract*, Tussilago Farfara (Coltsfoot) Flower Extract*, Urtica Dioica (Nettle) Extract*. *USDA Certified Organic.